No, they have a different pheromone that attracts them. 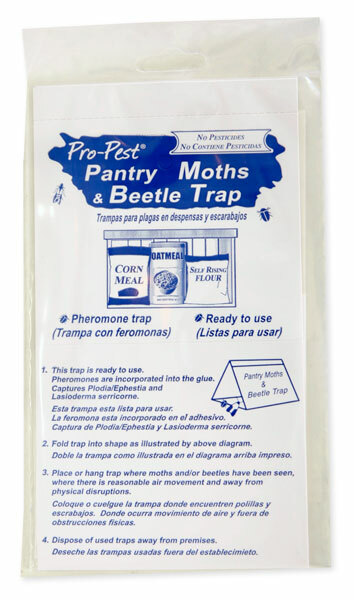 You have to use traps that are specially designed for the insect you are trying to trap. Are you trying to kill or monitor grain beetles and if so where?